The union budget is around the curve and there's talk of a cess on diesel cars by a certain section in the power corridors of New Delhi. The cess could either be a percentage of the value of the car or a flat charge, something to the tune of Rs 80,000 if we have to go by what the press is brandishing about. If indeed this is true, then it could pretty much turn the whole argument in favour of diesel on its head. Besides, the industry is trying to stay afloat at a time when global economic policies and conditions are threatening to put India in the same spot as the developed world. 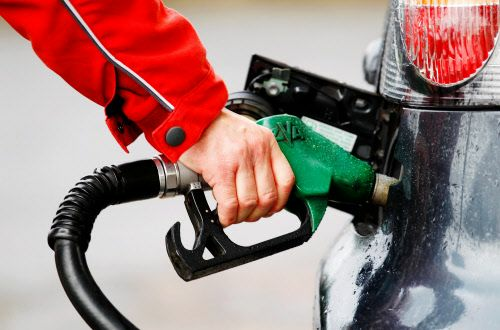 Already, demand for petrol cars has reached an all-time low, thanks to the lopsided fuel pricing policies that have lead to a near 66 per cent price difference on a per litre basis, in favour of the diesel. This has led to the marketshare of diesel cars to rise substantially over the last few years. As a case study, we decided to find out if you did indeed purchase a Maruti Suzuki Swift VDi or a Maruti Suzuki Swift VXi four years ago, would you have made the right decision. The idea here is simple – take a Maruti Suzuki Swift VDi with a purchase date of March 1, 2008. Most of our Which Car? questions have been about people with an average running of 1,000 kilometres a month and therefore used it as a pre-condition for our analysis. If you are wondering, 1,000 km/month is the kind of threshold that makes most people wonder if it makes sense to spend extra on a diesel or go in for a petrol. That should translate to about 40 km a day, assuming that the car is not driven for about 5-6 days a month on account of weekends or 33 km a day if the car is driven every day. If you are wondering why the Maruti Suzuki Swift, then let me put it this way. It is the most popular B-segment car in the country and the V trim are the most sold among the whole trim range. The price considered was the ex-showroom price, New Delhi for reasons of insurance calculation for declared values. So, putting all things into consideration, the Swift is run from March 1, 2008 to February 29, 2012. In this period, the car puts on 48,000 kilometres and is then put up for sale. For that, we considered the insurance calculated value of the used car price, since used prices differ wildly from person to person (dealer vs individual seller) to state of car etc. We also calculated the costs based on the price of diesel and petrol in the last four years. So we hunted down the rate change and considered the price of fuel for that month until the next rate change. These rates are available freely on the internet. For convenience sake, if the price was altered from say Rs 40.33 per litre of diesel to Rs 40.66 on March 10, 2009, we considered the rate from March 1. This has been constant for both petrol and diesel cars. Other things that were considered were maintenance costs. We contacted Maruti's service stations to find out what the average service cost would be for a Maruti Swift at 1,000 km, 5,000 km, 10,000 km, 20,000 km and 40,000 km. These are calculated on the basis of manufacturer recommended parts and lube changes, assuming the car is driven by a careful person and follows service intervals with a certain modicum of discipline. Costs incurred due to accidents, premature part failure or build quality issues as well as premature wear and tear were not considered in this calculation, since this is a variable. To bring in a more realistic calculation, we also added things like a battery change in the life of the car, considering a car battery doesn't last more than three years on an average. This cost was rounded off to Rs 6,000, give or take a few hundred rupees. Insurance costs for all four years were considered, even though registration cost wasn't. We do have a final calculation based on the on-road price as well, so you can get a clear idea of the difference, if any. So what did we discover? Turn over to start reading our calculations. Price of fuel is calculated for New Delhi. All prices, including ex-showroom, insurance, registration and on-road price are considered at New Delhi prices for sake of uniformity. Good post! As per my view diesel vehicle is always a good option but for the future buyers be careful because the price for diesel cars is going to hit much higher, because CSE is demanding an extra charge on diesel vehicles. This will definitely create a very bad price difference for diesel vehicles. I think as car companies show that diesel cars are low in cost compare to patrol car but their maintenance is quite high compare to patrol car.